Feed performance-enhancing fresh air to your race engine with this NX hood from J&J Auto Racing. Made from strong hand-laid fiberglass, the hood has an integral snorkel-style scoop to help force air into your engine. Designed for a J&J chassis sprint car, can be modified to fit other chassis by welding a few tabs to your frame. 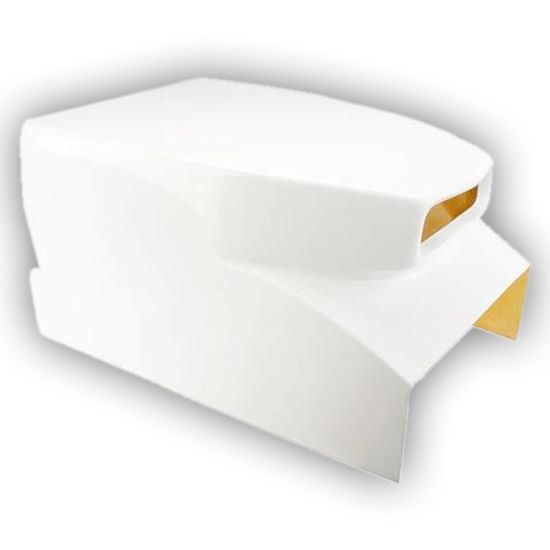 J&J Auto Racing makes this replacement fiberglass sprint car hood. The NX hood design has a built-in scoop and is designed to fit J&J chassis, but will fit other sprint cars with minor modifications.